30 DAY HIATUS – Is Omran Safe? ONE case of 10.8 million Syrian refugees…. I’m writing to shed light and awareness about the brutal world Syrian people and especially the children are living in. 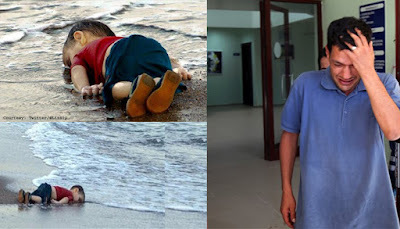 I’m sure most of you have seen a video circulating of Omran – the tagline “This is Omran. He’s alive. We wanted you to know.” The video shows Omran, his brother and parents being pulled from the debris of their destroyed family home in Aleppo. Omran, blood running down his cheeks and caked with dust all over his 5-year-old body, was in utter shock. Omran’s brother passed away a few days later from injuries he sustained from the air missile strike. This is ONE case of 10.8 million Syrian refugees – of those refugees about 51% of the refugees are CHILDREN. Before you continue reading do me a favor..open a new tab and Google “Syria”. Pictures of destruction, loss, fire, and terror. These are the living conditions children in Syria and neighboring countries have become accustomed to. I’ve hyperlinked words throughout this blog with articles to support the information – some may be graphic. I sat there with tears streaming down my cheeks as I watched the disbelief and shock in Omran’s blank stare. My boyfriend looked at me concerned and advised me to stop watching. That’s when I realized that is our problem, we stop watching to pretend that things like this aren’t happening every day. When are we going to stop watching and do something about it? If not for Omran, what about Aylan Kurdi whose 2-year-old body washed up on shore after trying to escape with his father, mother, and brother? His father was only to survive. I think most of us forget to realize what we have and what those overseas are experiencing. These people are people and just because this isn’t happening in our homeland doesn’t mean we should ignore it. I think as a young and powerful population we can do something bigger than ourselves – we can grow awareness and help. I’ve thought about and have prayed for the children in Syria every day since watching the video. I became obsessed. I read article after article hoping for a rainbow at the end of their storm – but nothing. I can’t sit here, scroll through my news feed without the image of Omran being sparked over and over again with a small still voice telling me do something. I’ve decided to take a 30-day hiatus for the month of September from all of my social media accounts and I will be donating to UNICEF for children refugees. But I’m silencing my social media presence out of respect for these civilians and to represent their silenced pleas. It feels silly to think that me silencing myself and donating will do anything and it may not – because I am just one person but together our influence is unstoppable. If you feel burdened to join and support me in my social media hiatus even if it’s only for a week, do it. 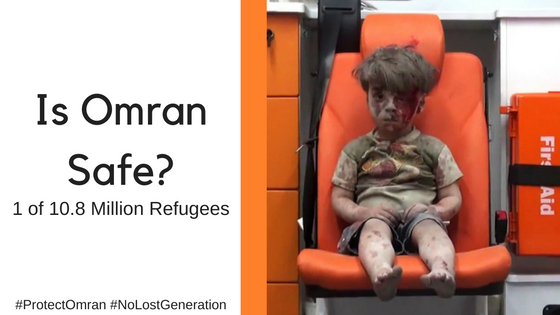 But if not, my challenge for you is to post a picture of Omran or yourself and hashtag #ProtectOmran and #NoLostGeneration to raise awareness, You can also donate to UNICEFs foundation here. Thank you so much for reading, I hope you can share and grow awareness with your friends and family. See you in 30 days. "Rebranding Yourself: How to Be Seen Differently Without Changing Yourself"